In reviewing my post below I think I need to clarify with an example. 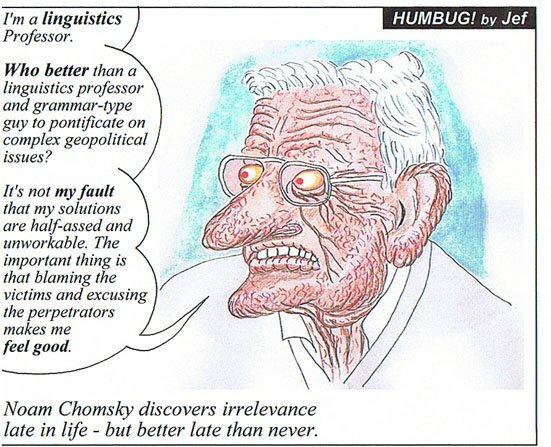 There is no better example of the single cause for all our woes fallacy than the musings of the senescent linguist Noam Chomsky. Noam suffers from a variant of the Bush Derangement Syndrome - the Bushitler Amerikan Imperialist Capitalist Self-Loathing Hypocrite Derangement Syndrome. 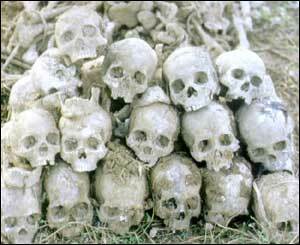 Update: an audience which is particularly unreceptive to Noam's take on the Khmer Rouge may be found here.